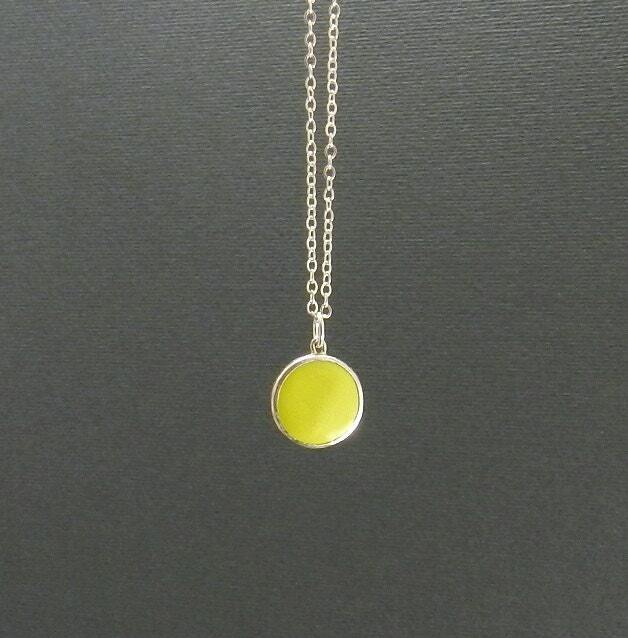 If you are looking for a pop of unusual color, this simple green dot necklace will fit the bill. Apple green in color, encased in sterling silver bezel, it is elegant and easy to wear. The pendant is 1/2” in diameter and hangs on a 17” sterling chain.